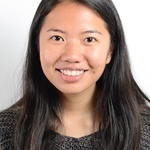 Sarah Wu is an Associate News Editor for the 145th guard. She can be reached at sarah.wu@thecrimson.com. Follow her on Twitter @sarah_wu_. ​I awoke in my grandfather’s house at sunrise each morning to the sound of migrant workers building houses, three to nine stories tall, 1000 miles away from their families. The ceremony marked the completion of SEAS complex’s steel framework, a project expected to cost over $1 billion. The project to redesign the Massachusetts Turnpike in Allston may cost upwards of $1.2 billion and will likely break ground in 2020. Boston residents have re-elected Martin J. Walsh for a second term as mayor on Tuesday in a victory over opponent Tito Jackson. Kevin Wong Wong Keet was getting frustrated. After watching his monthly rent rise for years, he had decided to look for a home in Allston-Brighton—but four times in a row, he had been outbid. As SEAS looks to boost its recruiting profile for engineering jobs, SEAS students are flocking to extracurricular groups to gain experience and professional connections. In her letter, Faust wrote that universities like Harvard play a critical role in making the Boston area “a competitive place for Amazon’s next venture." The proposed “ArtLab” will house an audio recording studio, sound editing stations, and performance spaces. The Washington, D.C.-based restaurant chain &pizza has finally gained approval to bring its make-your-own pizza pies to Harvard Square. Harvard and the City of Boston have jointly funded the $6.5 million renovation of the Smith Field complex, which will include improved park amenities. The SEAS has hired six new faculty members, the largest addition to the school’s faculty since it hired a “bumper crop” of eight professors in 2015. The Trader Joe’s on 748 Memorial Drive—frequented by Harvard undergraduates—will cease alcohol sales on Oct. 1. Maven—the Hebrew word for expert—easily describes Alan M. Dershowitz in the courtrooms where he has defended Mike Tyson, O.J. Simpson, and Julian Assange. However, while his unwavering standards for quality pastrami on rye may be as staunch as his support for First Amendment rights, opening a deli was a case he had yet to encounter. ​Former U.S. Secretary of Housing and Urban Development Shaun Donovan ’87 has been appointed as an adviser to University President Drew G. Faust for the Allston campus. Construction on Harvard’s long-delayed Allston campus is on schedule, with the planned seven-story steel framework of the $1 billion Science and Engineering Complex due to be completed in December, according to a University spokesperson.